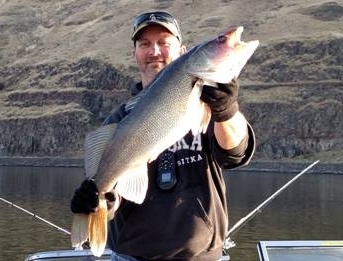 Mike caught his personal best 14.2 pound walleye below Tri Cities. February 17. Rufus double hook up 7 lb and a 9 lb. April 9. 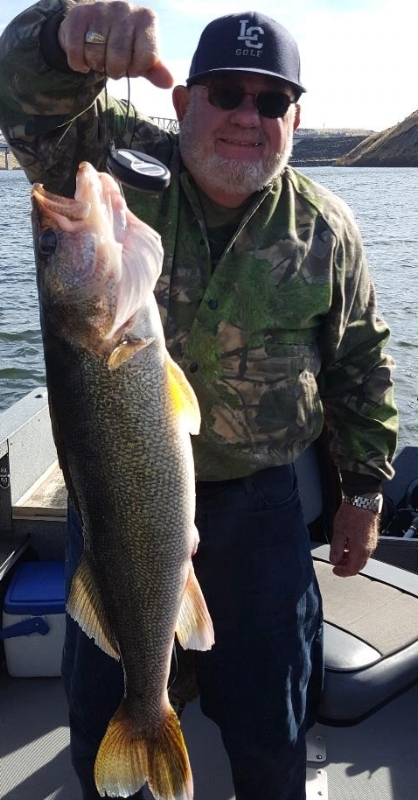 Glenn H caught and released this huge walleye. Greg released this 26 inch walleye estimated at 6.5 pounds. Rufus Woods. April 19. Travis caught and released this 27 incher on June 29th. Lake Roosevelt. Lindsay K caught her new personal best walleye. Hauled it in all by herself! 24 inches and 4lb 6oz. Released. July 4th. 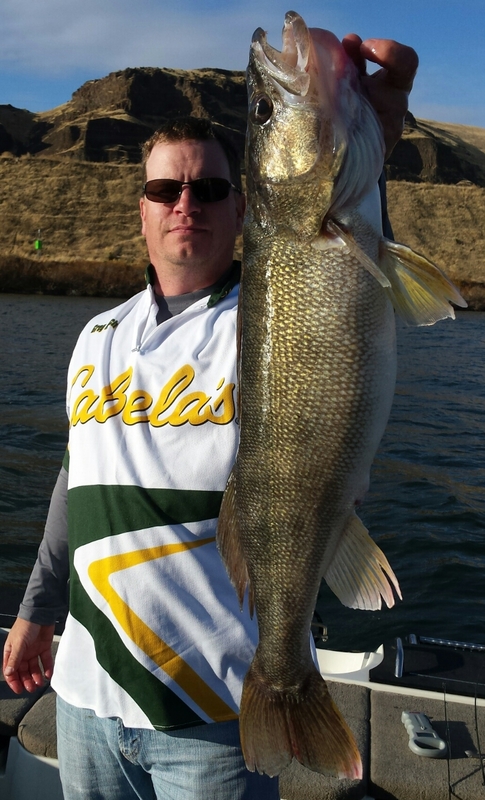 Joe M with a huge Snake River Walleye that measured 32 inches. Sep 27. Fish released. Greg K released this walleye that measured 27 inches and weighed 7 lb 6 oz. Snake River. Oct 2. 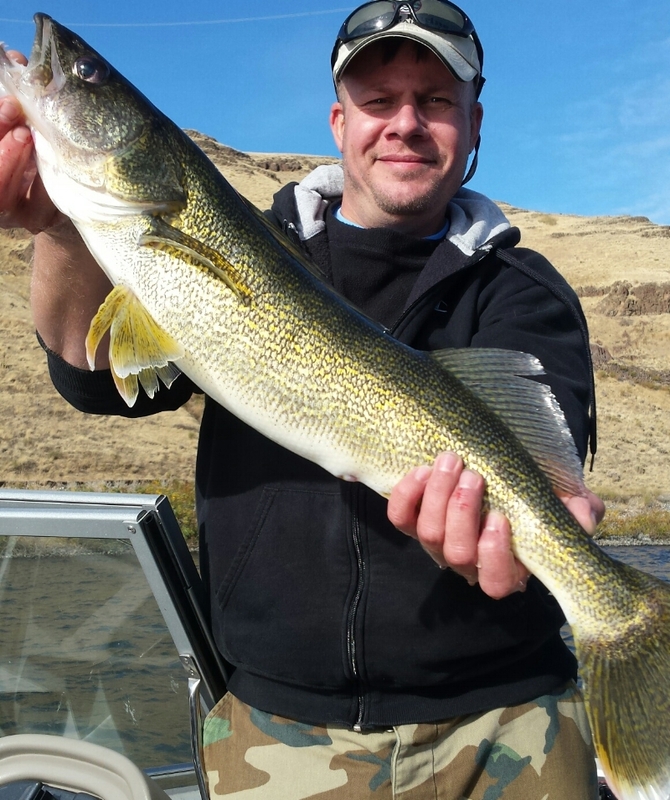 Travis S with a 5 pound walleye caught at our Club Fish Day on the Snake River on October 14th. Fish released. Travis S with his 2nd big fish during our Club Fish Day on the Snake River. Length 27 inches. Weight 7 lb 11 oz. Fish Released. Greg K caught and released this 29 incher that weighed 10 lb 2 oz during our Club Fish Day on the Snake River. Oct 14. Brand new member Steve released this 11.7 pounder caught on the Snake River 10/28. Joe M's buddy shows off this 32 inch walleye caught on Halloween. Fish Released. Snake River. Patrick caught and released a new personal best...31 inches and 10lb 6oz. Congrats!!! Nov 11. Snake River. 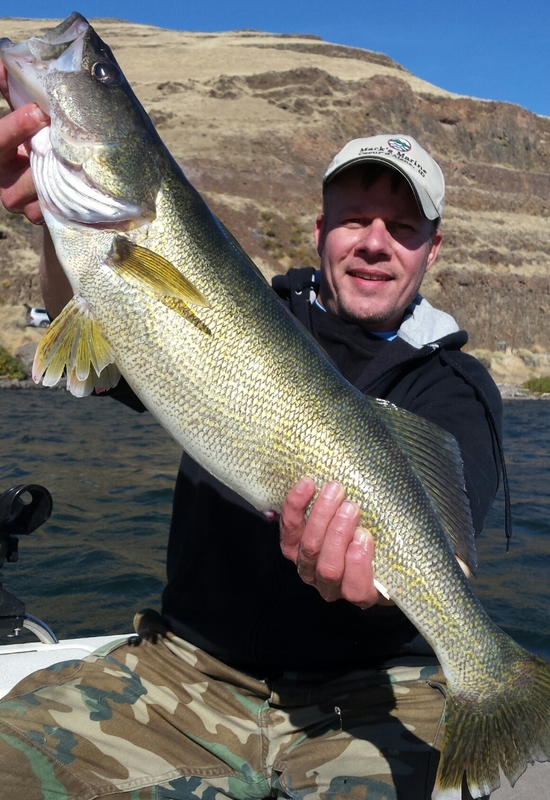 Joe M holds another huge Snake River walleye (released). Nov 12.